​The President of the Local Citizens Committee of Erie, Alexander Slomski, attended a meeting in Cleveland, Ohio in February 1918. The meeting was regarding recruitment of soldiers for the Polish Army. Two different sources indicate two different addresses for the recruiting stations. One was at Stachowski’s Insurance Office located at 1208 Parade and the other at Recruiting Station No. 1 at 1309-1311 Parade Street, which is the Polish Forester’s Club. Head of recruiting was J. A. Zebrowski, who put out a call for men physically and mentally suited for the job. The physician who selected the recruits was Dr. Melchior Mszanowski. Besides recruiting, a Polish Relief Aid Committee was formed to raise money for the medical needs and requirements for the troops. The following members were elected: President, Aleksander Slomski; Vice-President, Hipolit Pogorzelski; Secretary, Walenty Koston; Financial Secretary, Stanislaw Lyzikowski; Treasurer, Alexander Baniszewski; and Directors, Jan Mikulski and Stanislaw Nowotny. 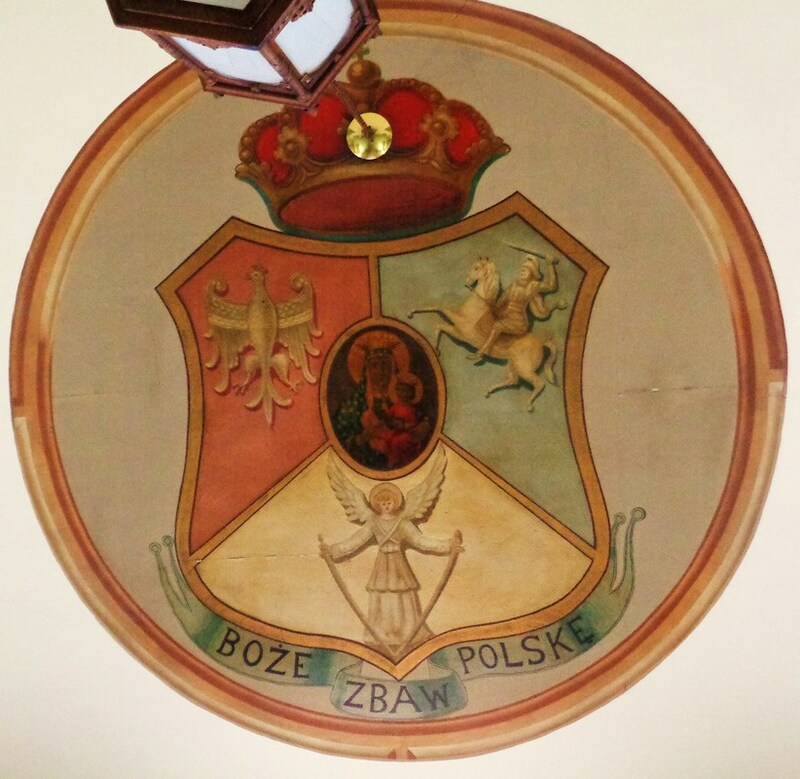 The headquarters for this committee was located at Polish Foresters Club. Attorney Francis Nagorski was named Honorary President and organized a tag day, where over $9,000.00 was raised. 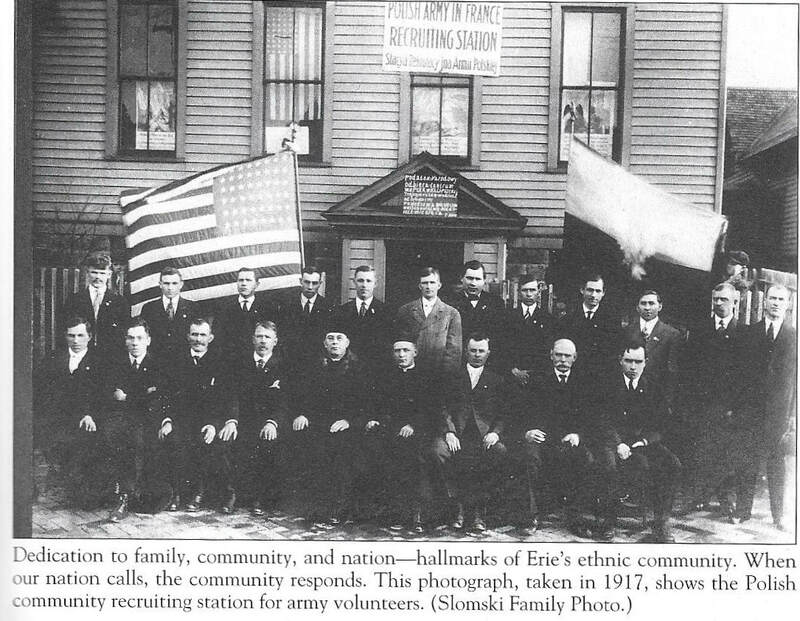 There was also a great parade held by the Polish community in Erie on the 1st Anniversary of the United States entry into World War 1, April 6, 1918. A Polish Army Band Concert was headed by a committee supported by Tadeusz Wronski, Chairman (a well-known Polish opera singer and teacher living in America, instrumental in raising money with Ignacy Paderewski.) Also in the committee were Pawel Rys, Jozef Ignasiak, and Jozef Kaczmarek. There was also a ladies Polish White Cross Committee. Rev. Severin E. Niedbalski is fifth from left. Others are unidentified. Photo from Images of America: Erie Pennsylvania by Jeffrey R. Nelson Arcadia Publishing, 1999.